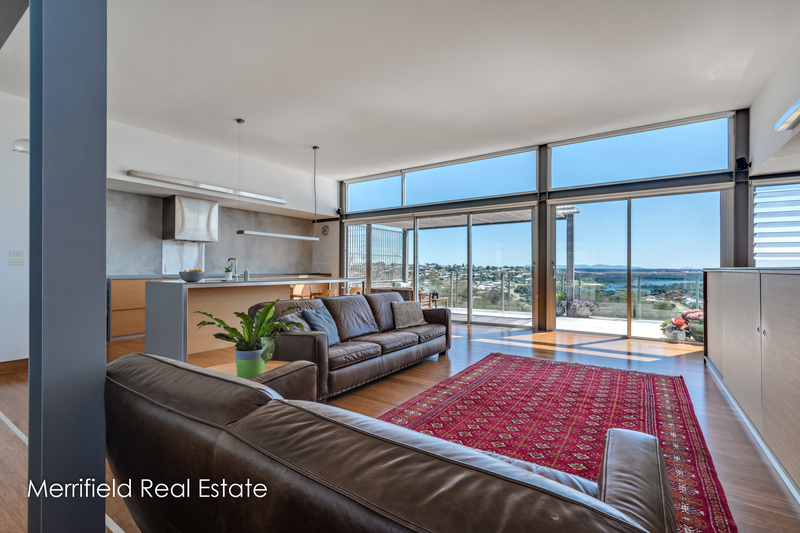 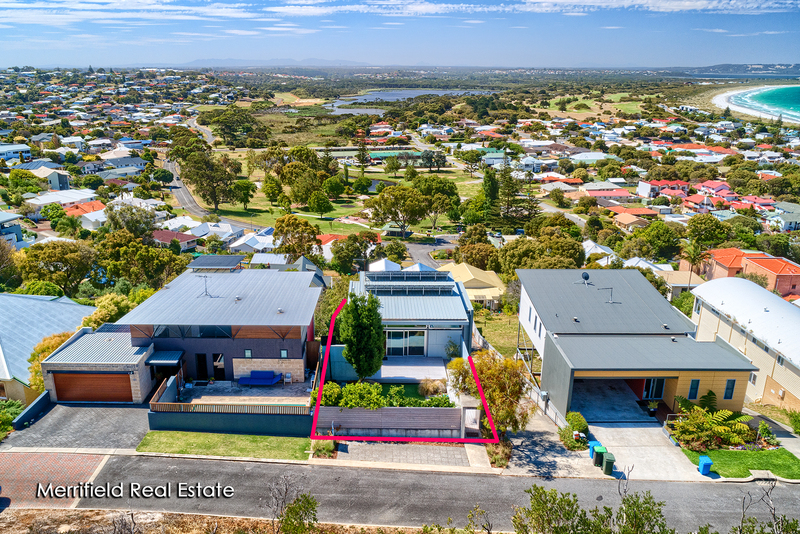 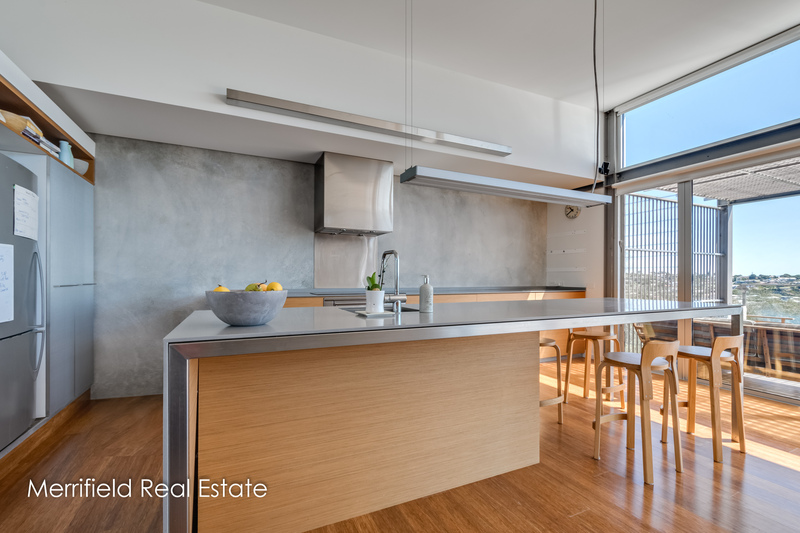 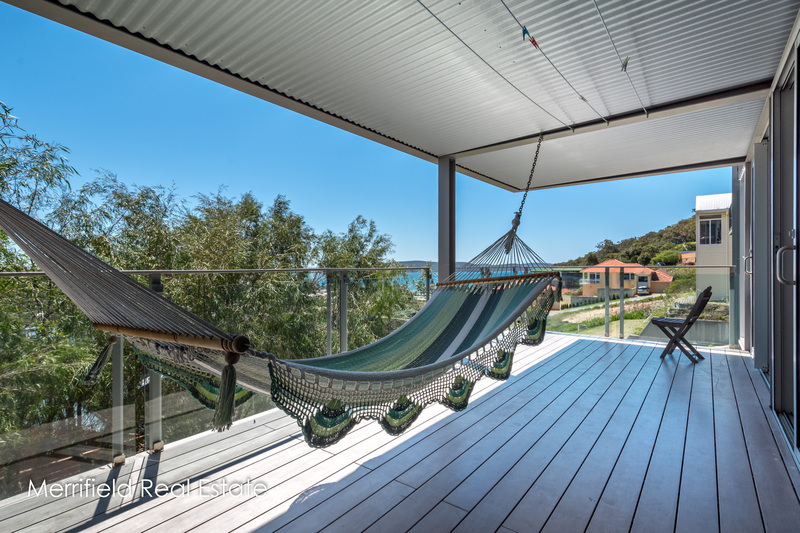 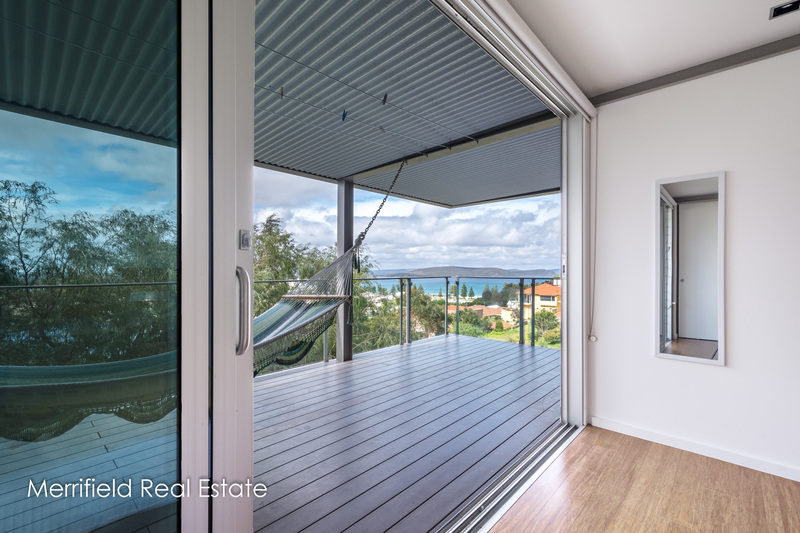 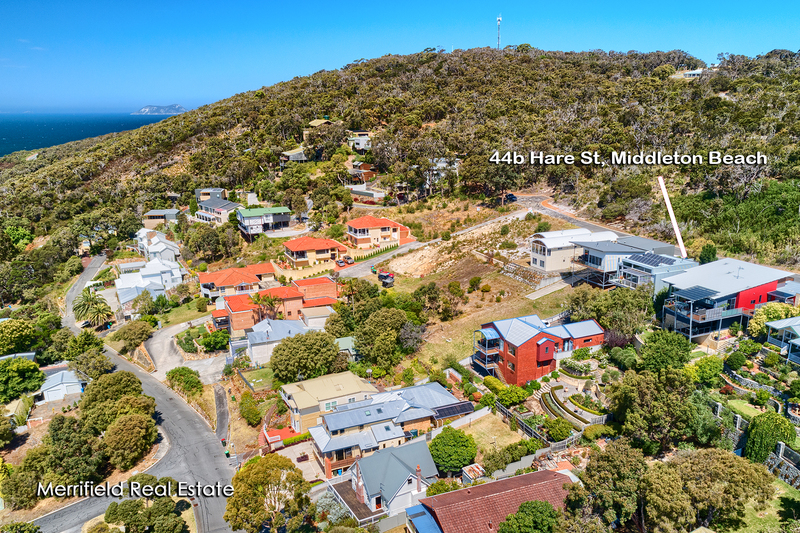 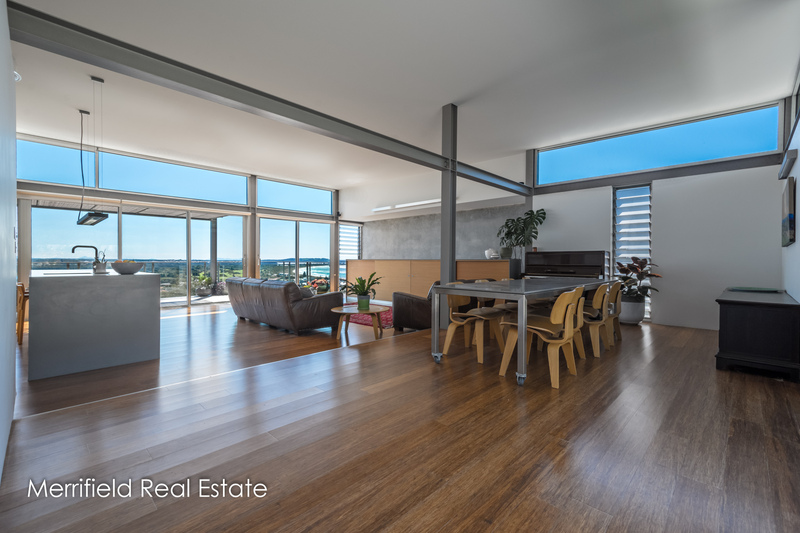 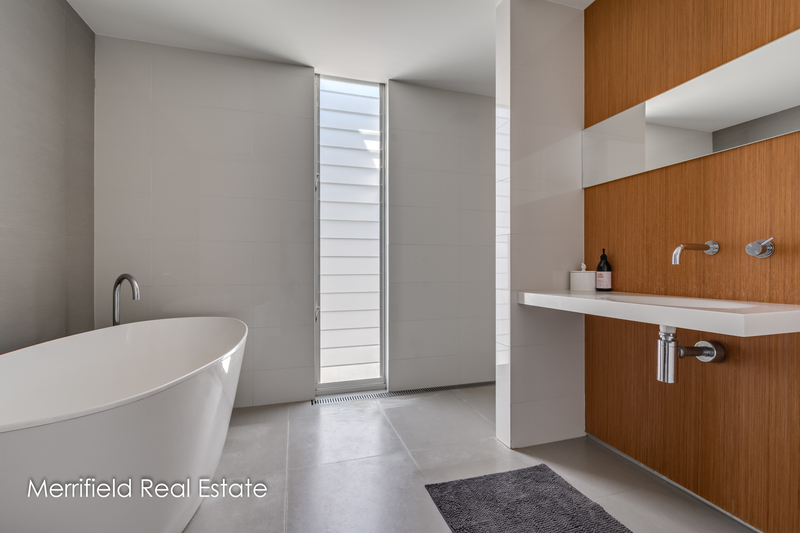 Glass, steel, concrete and timber combine flawlessly and connect beautifully to the setting of this home overlooking Middleton Beach and taking in a panoramic outlook as far as the Stirling Ranges. 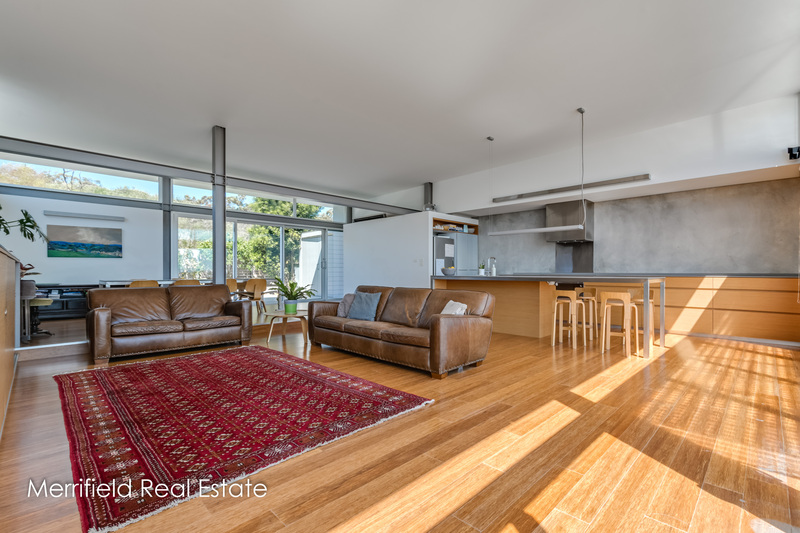 At the cul-de-sac coastal end of Hare Street, the property combines striking design features and contemporary materials, fittings and finishing to present an entirely practical and comfortable home well suited to modern families. 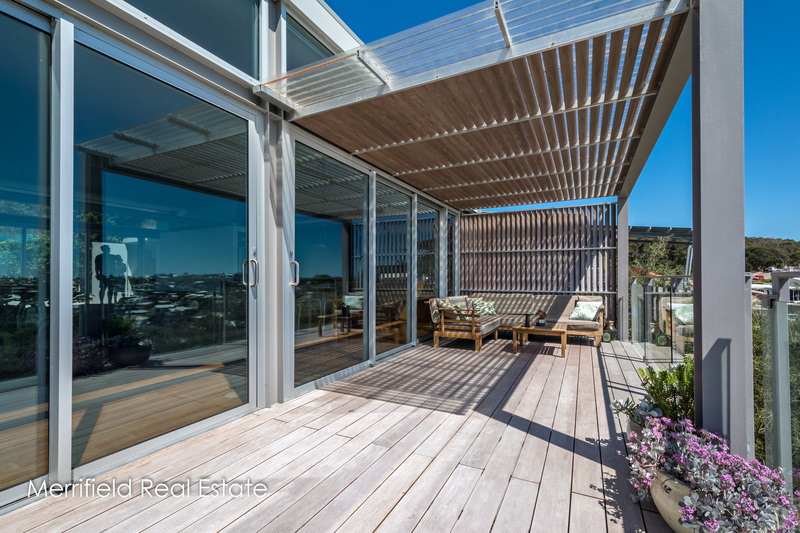 It was designed and built by a renowned local professional for his own family and completed in 2011. 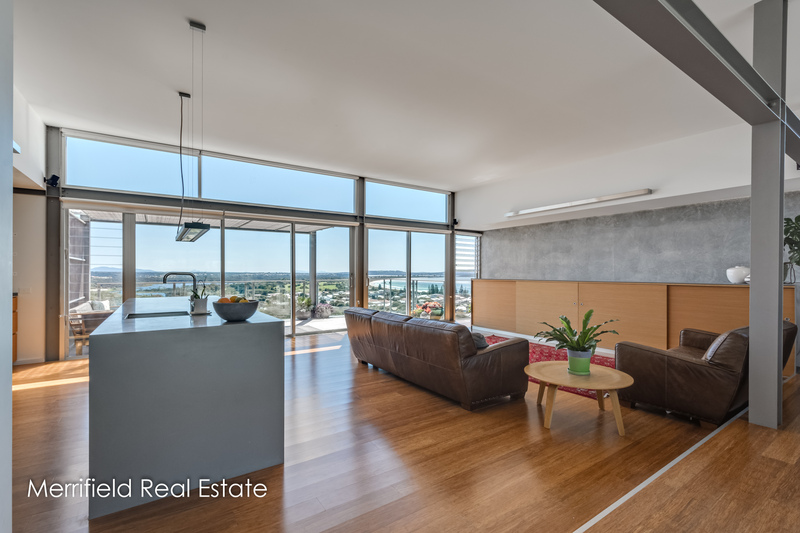 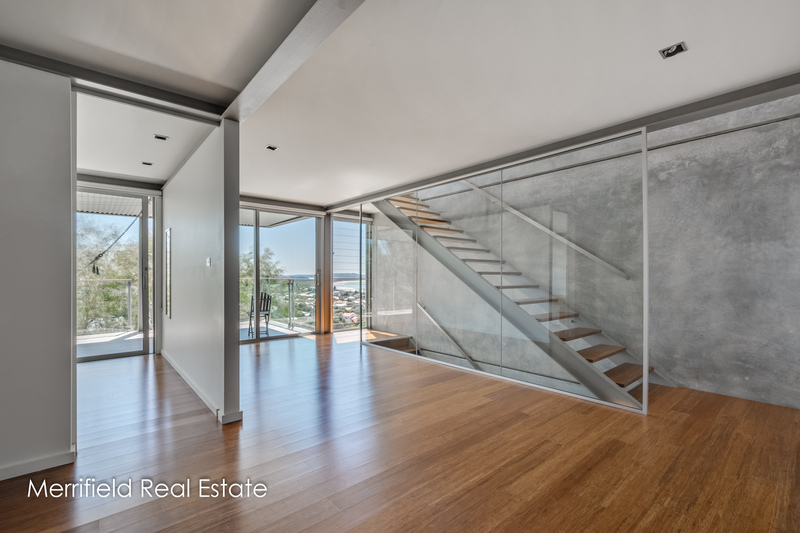 The open living room combining the dining area and lounge is bathed in natural light with stackable glass doors at both ends and smart bamboo flooring. 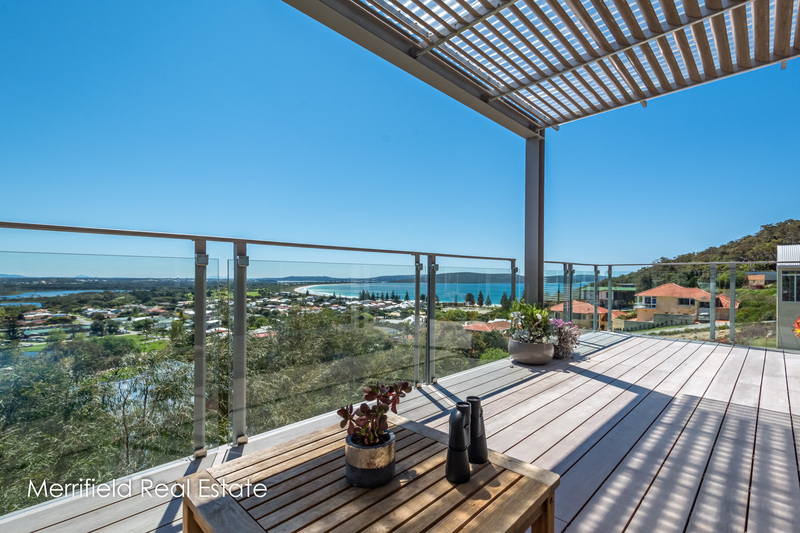 At the front, the wall of glass lets in the fabulous coastal views and leads out to a wide deck sheltered from the wind by glass balustrading and a louvre panel. 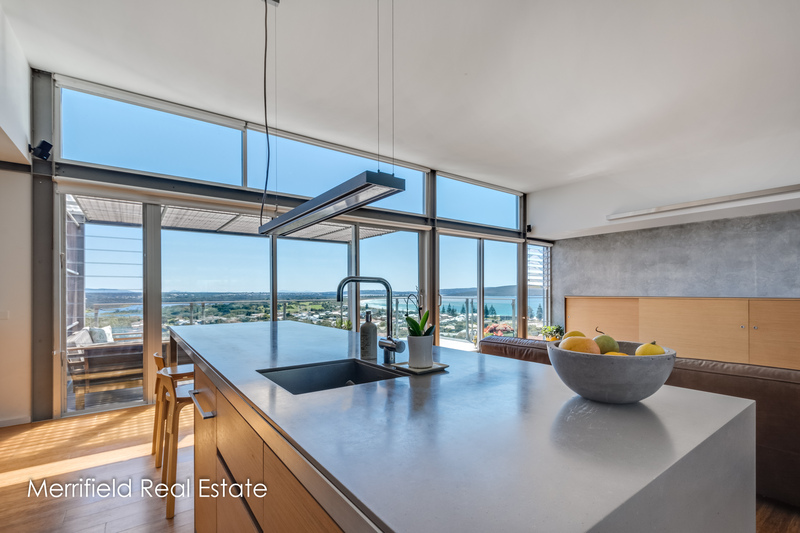 With high-end appliances and sleek cabinetry, the kitchen continues the minimalist theme and clean lines throughout the building. 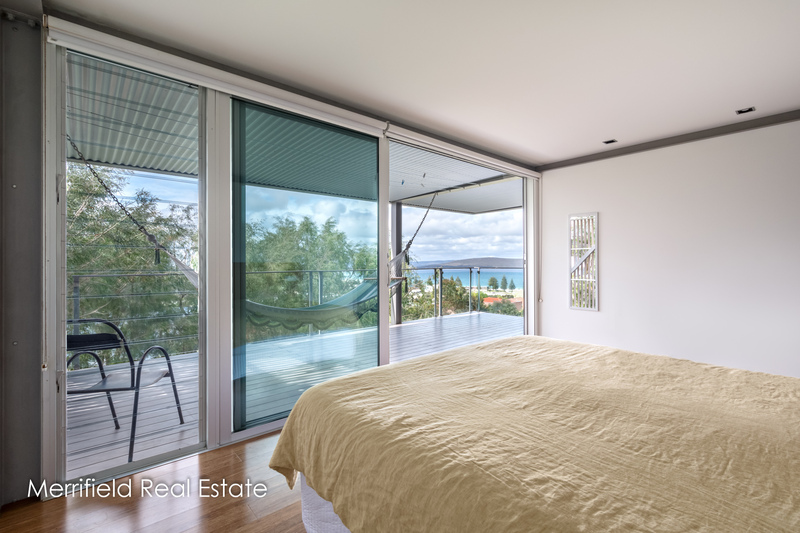 Timber stairs lead down to the four bedrooms – the master suite at the front with access to a deck and a share of the view – and the impressive bathroom with bath, shower and basin, separate toilet and laundry. 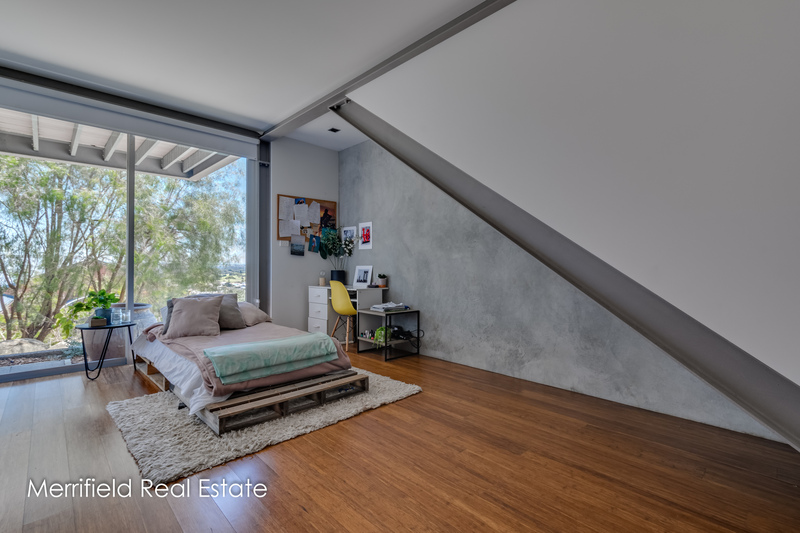 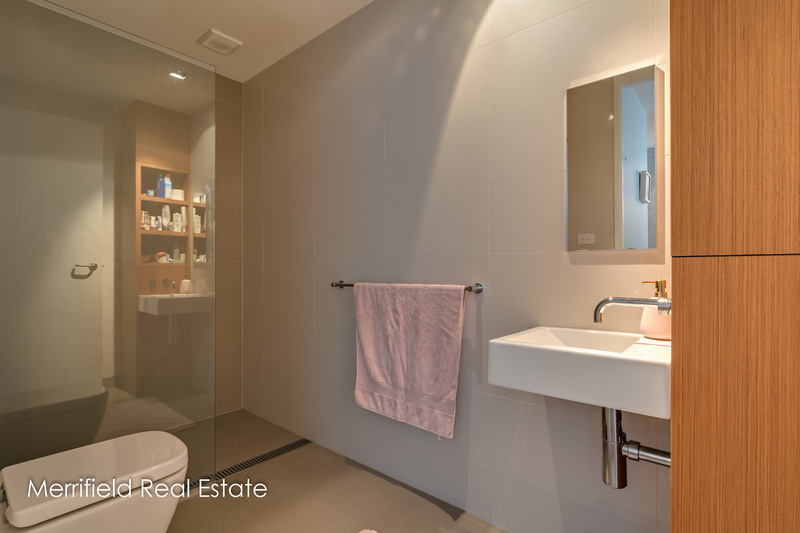 Down another level is an office or storage space, a versatile area that could be used as a sitting room or fifth bedroom, and a shower room with a toilet and basin. 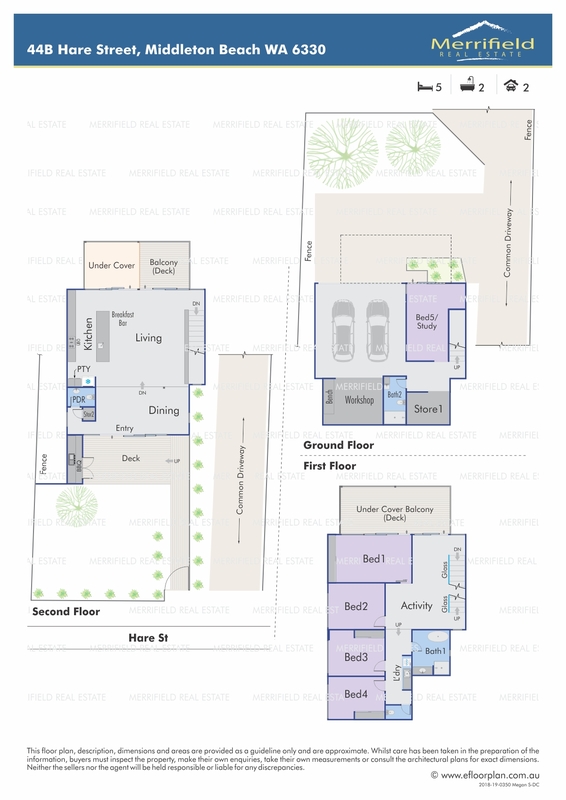 An external door leads out to a sizeable storage room, the double carport and vehicle turning space. 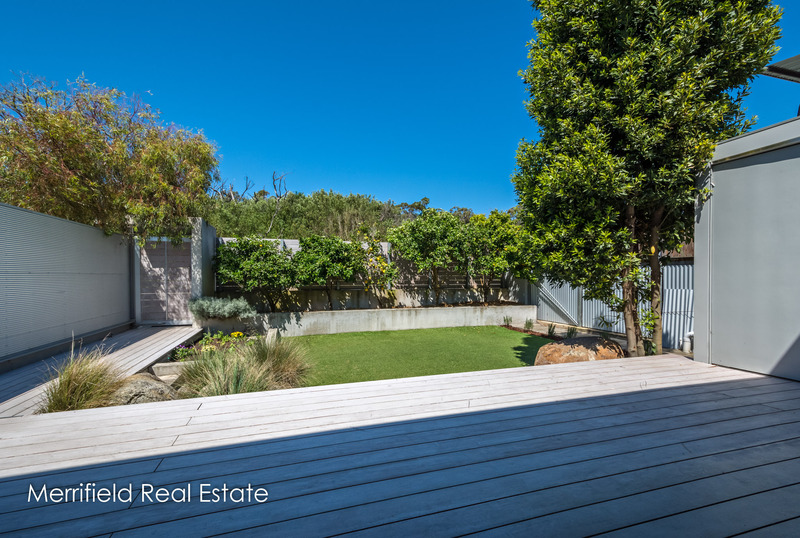 A fenced front courtyard with mature trees affords the home privacy and provides a lovely setting for entertaining. 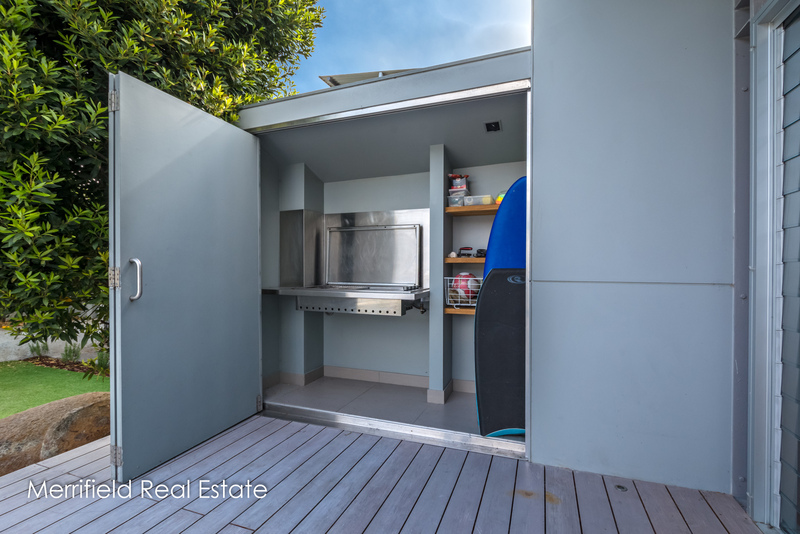 A built-in gas barbecue is concealed behind doors at the side, and the garden beds are planted with vegetables and herbs. 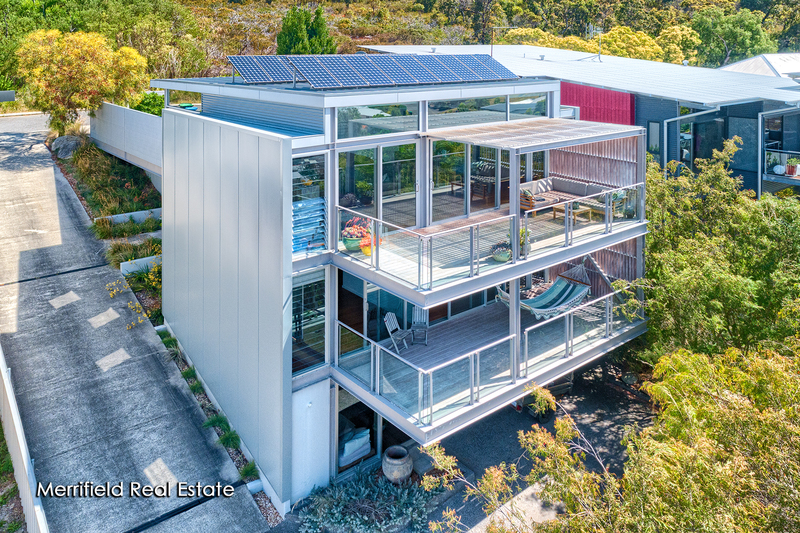 Built to solar passive design principles, this home benefits from the high internal mass concrete panels to keep it warm in winter and ventilation louvres combine with open stairwells for an effective through-draught in summer. 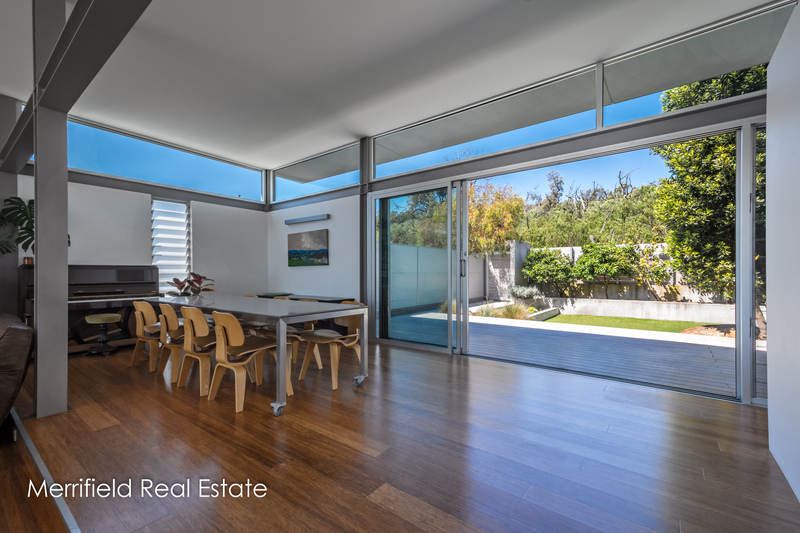 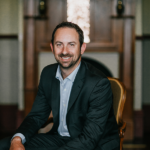 Air conditioning is installed, though rarely necessary, and 4kw photovoltaic panels supply all the home’s energy. 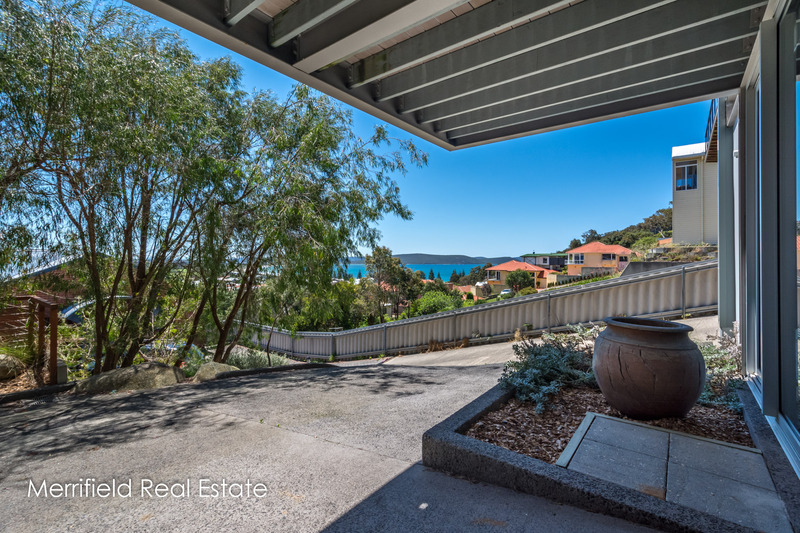 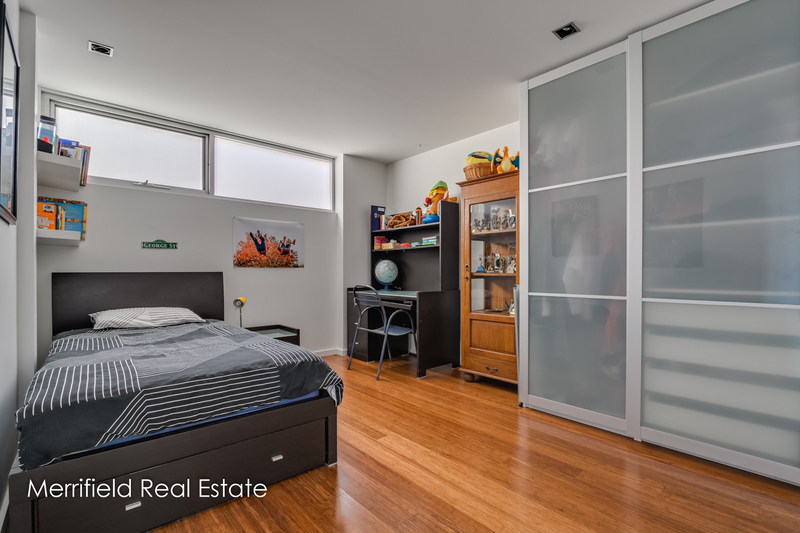 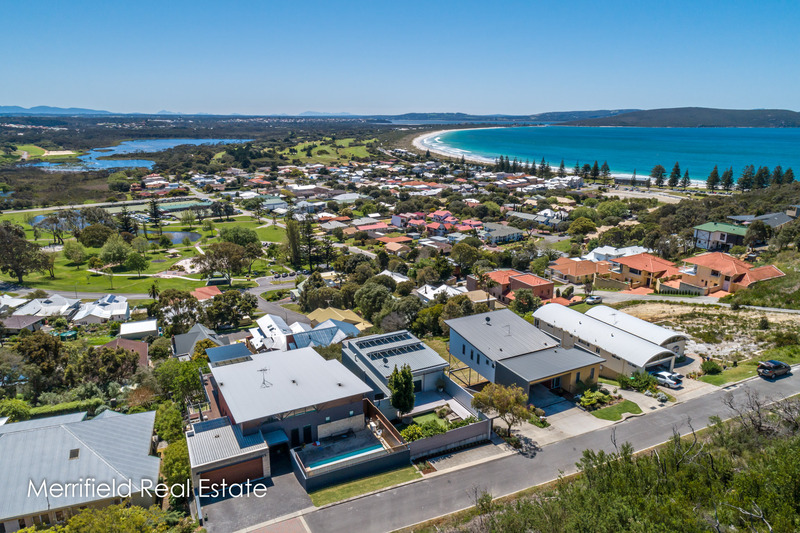 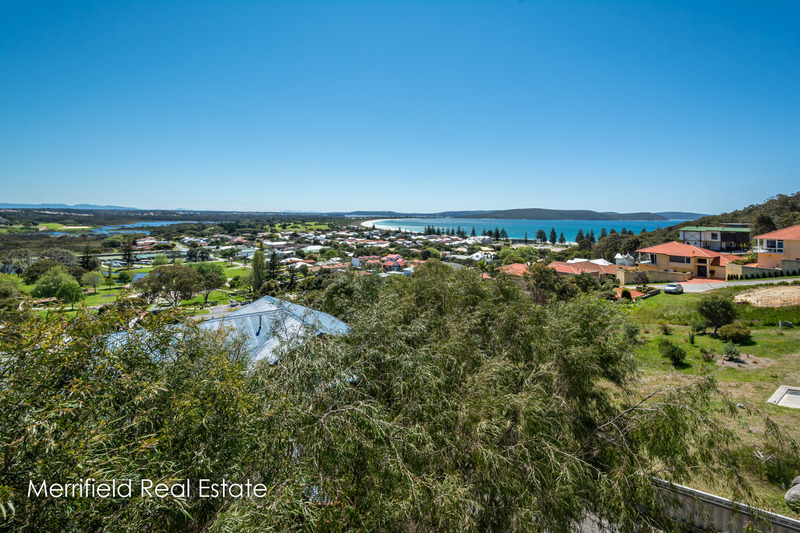 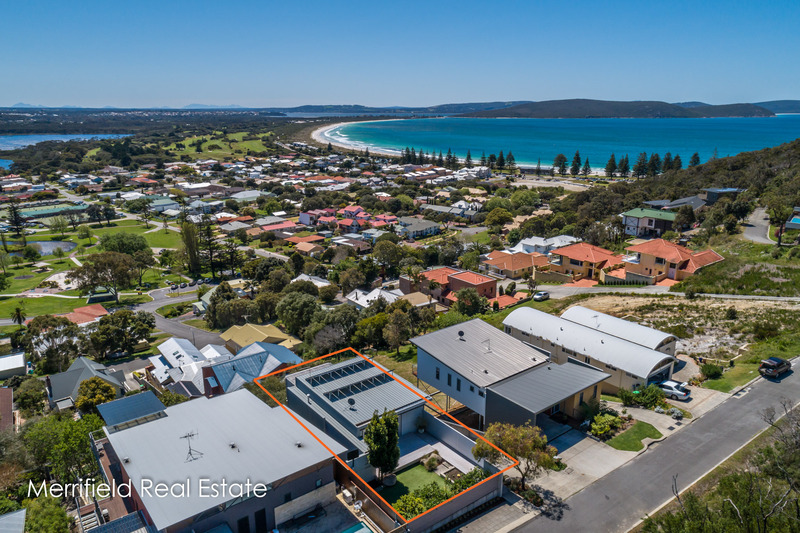 This superior home holds its own among some of Albany’s most impressive properties and offers a coveted beachside lifestyle five minutes drive from the city.